This year I tried something different. 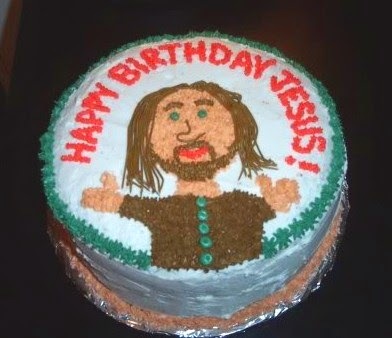 I baked a cake for Jesus. I like to cook but I don't do cakes and it was real pain. By the time the cake was completed, I was exhausted and decided to sit in the recliner and have a drink to rest. Hours later, when I woke up with a headache, I found the empty bourbon bottle on the floor and the cake was half eaten. I blame Jesus for that.